Every time it seems like smartphones have become homogeneous and boring, you can count on LG to make it interesting again. 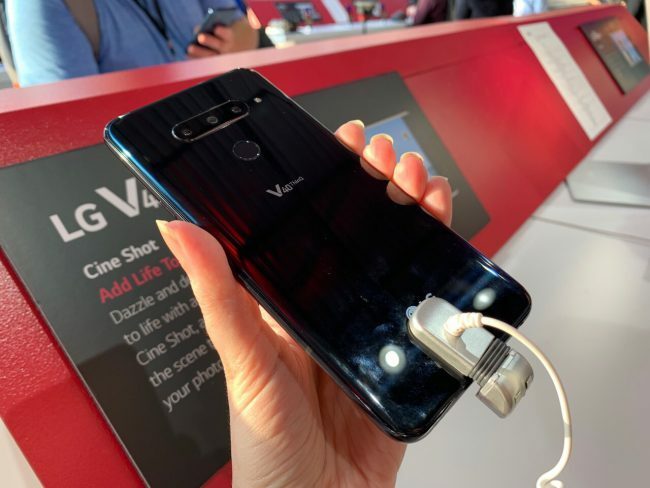 They’ve tried modular phones and phones with secondary screens, but their newest idea is their best by far: the LG V40 ThinQ is a FIVE-CAMERA smartphone. And US Cellular is making it an even sweeter deal for their customers! Photos courtesy of Geek Spin. How did LG put five cameras in one phone? There are 3 on the back, 2 in the front — like a mullet but with more telephoto! You can capture one of three types of photos with the back camera: standard, telephoto zoom, or super wide-angle, all very easily from the camera app. The camera also has an AI designed to help you both compose the shot and apply the right filters, etc., to make it perfect. Finally, you can create funky live photos as well, giving you lots of ways to make your Instagram really pop. Meanwhile, the front facing selfie cameras can take one of two photos-you can either snap a regular selfie, or you can opt for a 990-degree wide-screen selfie. This might actually end up being more useful to the average person than the 3 back cameras, simply because we take so. many. selfies. these days. I recently finished a photo project for my Grandma’s 90th birthday, and some of the selfies my aunt took with Grandma were cute but had parts of chins or ears cut off due to the camera angle. The wider screen front camera means you’ll get better selfies, so your friends won’t get mad when you cut off the side of their face. The ThinQ has all the other usual Android phone in 2018 features, like an OLED screen, 6.4″ QHD display, surround sound speakers, and your choice of black or blue for the back. It’s going to ship with Android 8.1 (Oreo), and of course, will have Google Assistant, so you can turn off your lights, dictate an email, and take the perfect selfie all at once. Sounds great, right? If you’re a US Cellular customer, this is about to get even better. 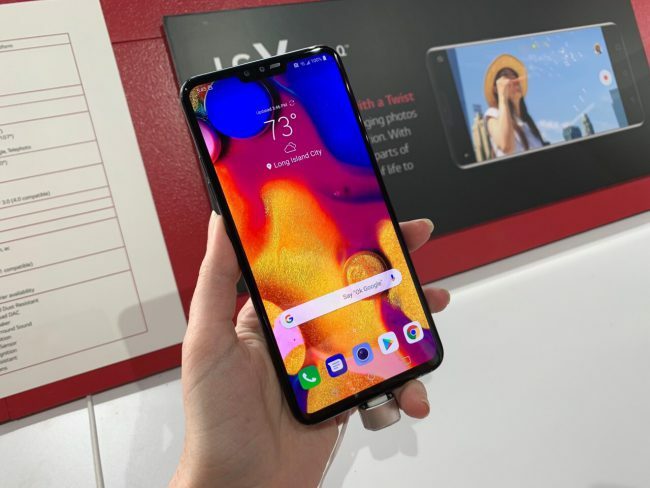 If you pre-order the ThinQ via US Cellular, you get the following benefits: $150 back in bill credits, a case for $0.01, and if you pre-order between October 12 and October 18 (LG bonus link goes live on October 12), LG will throw in a SanDisk Ultra 256GB microSDXC and a DJI Osmo Mobile 2 Gimbal, so you can really take advantage of those extra cameras! The ThinQ will be $29.99 for 30 months and comes out October 19. So if you’re an Android fan looking for the next great device, and especially if you can get US Cellular, get ready for October 12!